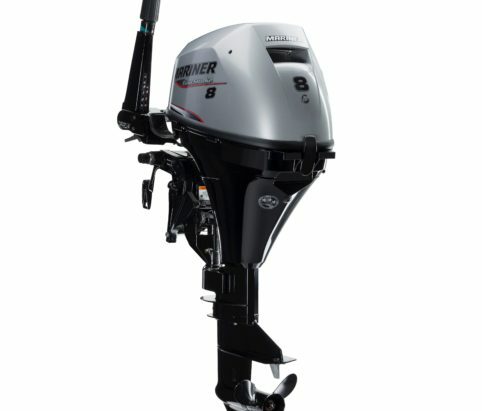 Even with all the user-friendly features included, our 8 and 9.9hp FourStrokes are one of the lightest in their class. A convenient multifunction tiller handle provides easy one-hand shifting operation while the manual choke and primer features makes it easy to get things started. Plus these outboards come equipped with our exclusive automatic reverse hooks that don’t require you to manually change the clumsy lever to hold the engine in place while running in reverse. remote areas and better control in shallow waters.